My friends, this series about God’s Preparation continues. Last week we talked about trials and challenges, along with three key points in how Jesus moves in us and our lives during these times. If you haven’t read that post yet, click here to catch up. Foundational to this journey is trust in God, ever increasing trust in God. And in order to trust God more and more with all areas of our lives, we must believe that He is good. I’ve written about this before, but felt God nudging me to review this, because if we do not believe that God is good, that His purposes and plans for us are always for our good, and that He is always working for our good, then we cannot trust Him. "All" means ALL in the Bible and encompasses everything. Even in the worst areas of our lives, in the worst challenges, in the worst sufferings, God is working for the good of those who love Him. That is His promise and He never breaks His promises and He never fails in keeping them. God is not capable of lying (Titus 1:2) and He never has an impure motivation. He is good, He works for our good, and His plans are good. That is His unchanging character. If you find this is an area that you struggle with (and we all have or will at some point), I urge you to seek Him for His promises in the Bible, write them down and pray them. This is so foundational and again, connects to the transformation of our minds (as I shared in that series earlier this year). God is sovereign and has a PLAN and PURPOSE for ALL things. God is an equipper and will provide what we need to walk through every trial and challenge. God is a redeemer and will bring purpose out of every trial and challenge and will restore what we have lost in His way and His timing. My friends, I truly believe it comes down to this. How we perceive God and His character will directly affect how we look at our circumstances. The more we seek Him in truth to know Him more, the more we will see we can trust Him, and the more we trust Him, the more we can let go and have child-like faith. I know I want that more than anything, to know Him more and to trust Him with all of my life. He is worthy and loves us so much! It amazes me that He longs for this even more than we do, and not for His gain but for ours. In this year of intimacy, I’ve had to let go of control, or more factually, the idea of control. I do not like pain and I do not like not knowing what lays ahead of me. Can you relate? As I have shared in the past, God told me He was preparing His vessel. I believe He is doing this in many of us right now. The more I walk in this time of preparation, the more I understand how challenging it can be. I want to walk through this stuff with a heart to learn whatever it is that God is showing me so that “at the right time, He will lift me up in honor, as I give Him all my worries and cares (1 Peter 5:6-7). The word “honor” in this verse in Greek is timē. Do you see what I saw? Looks like the English word “time,” doesn't it? And that was God's point in showing me this. Honor takes time and preparation and is done by the Master. I don’t know about you, but when I saw this, I smiled. God has an amazing sense of humor. My friends, I know it’s hard to believe and even accept at times, but our trials and challenges DO have a purpose in them—God’s purposes that we can seek and look for if we are willing to let Him show us. This requires us to take our eyes of the “bad” and to seek the good. To seek God (and again I find it interesting that good and God are only different by one letter). Remember these Scriptures from last week? At the right time, God lifts us up in honor. This is part of His preparation so that after we have endured, He will can restore, support and strengthen us so that we are placed on that firm foundation, and bear every kind of fruit. And amazingly again, this fruit winds up being exactly what we need for the next trial or challenge. Share your voice, heart and love in the comments. Lynn Donovan: Raising Godly Kids in a Spiritually Mismatched Home: 10 Keys to Teaching Your Children to Love God Without Limits! The ministry's mission is to provide ongoing encouragement and inspiration to THRIVE in marriage and in faith. Your financial gift helps us reach the world with life-transforming content, support and hope. Three Keys Ministries is a 501(c)3 Corporation. Make a one time donation. Sign in with our Comment Host, Disqus, pronounced, Discuss. 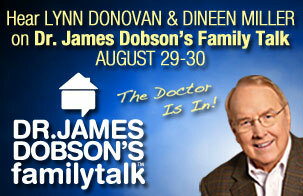 Add your photo, share your thoughts, prayer requests, and become an active part of our family here on the web. Click here to take the tour and sign in. If you are new to our website, we have a few helpful hints to get you started toward thriving in your marriage. Click on over to our "New Here" page. 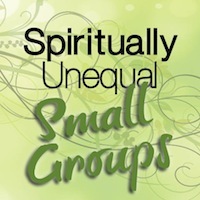 Download our free booklet, Creating and Building a Ministry For The Spiritually Mismatched. Author and speaker Lynn Donovan takes on the topic of parenting and how moms can best raise their children when their husband does not share the faith.